My Name is Sebastian, I studied Sport Science in Vienna/Austria and Münster/Germany as well as Sports and IT to become a teacher. I started working with AgeGroup Athletes in 2013 and focusing on them now. 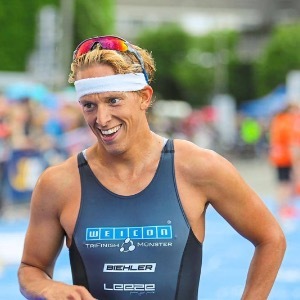 I started with triathlon quite late with the age of 21 - but now happy to race german bundesliga, side-by-side with olympic medalists which is pretty awesome. Became Austrian Champs medalist over the last years and now focusing more and more on coaching. Studied Sports Science in Vienna/Austria and Münster/Germany. Sport Scientist in Vienna at SPOWI-Lab until 2016. Success. Coach Sebastian Czerny has been notified of your message.